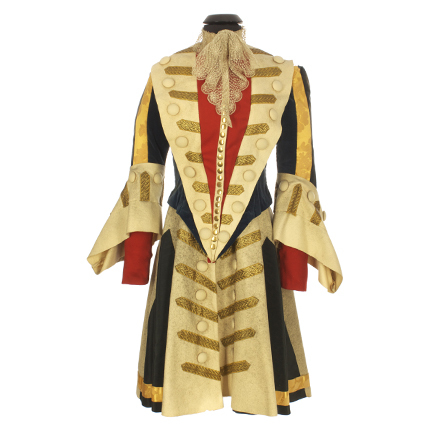 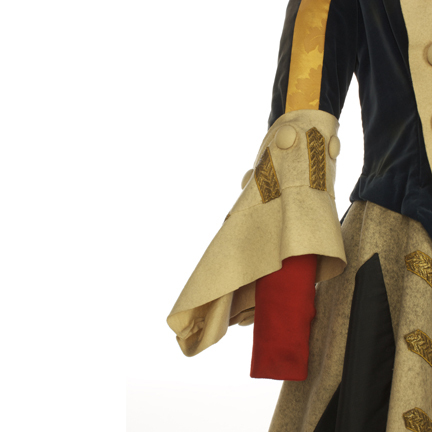 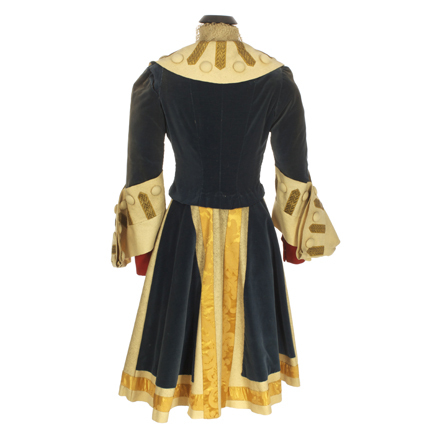 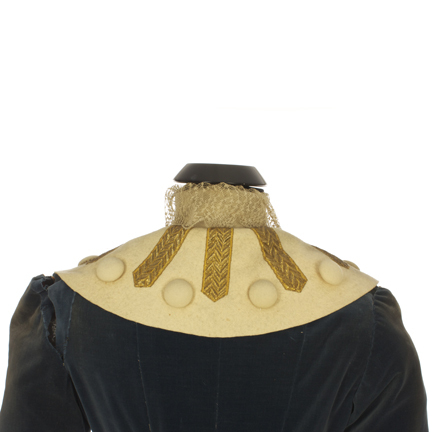 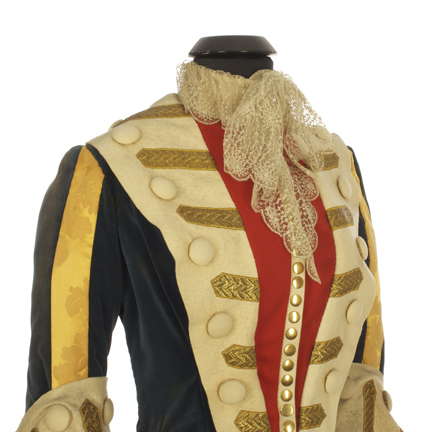 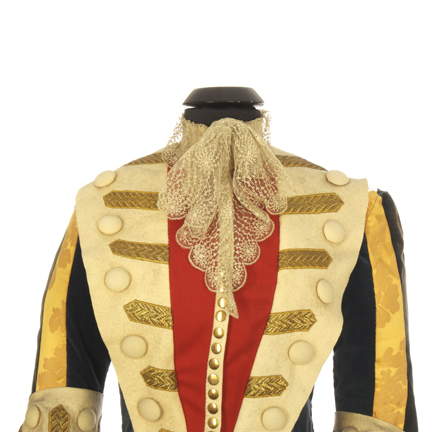 This period frock coat made for an unidentified production and was acquired from the Paramount Studio Wardrobe department. 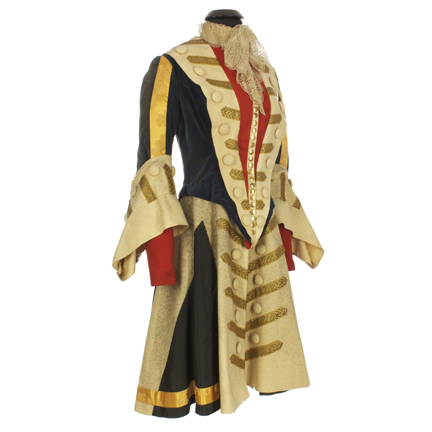 The beautiful frock coat was made for a female actress and is constructed with vintage crochet lace along the neckline, panels of blue velvet, beige wool, red wool, and black cotton. 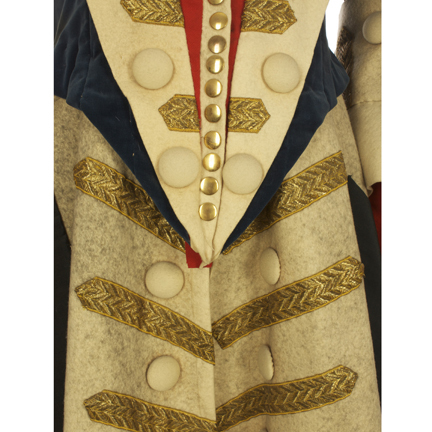 Ornamented with gold bouillon brocade with chevron pattern, large beige wool covered buttons, and round brass buttons.